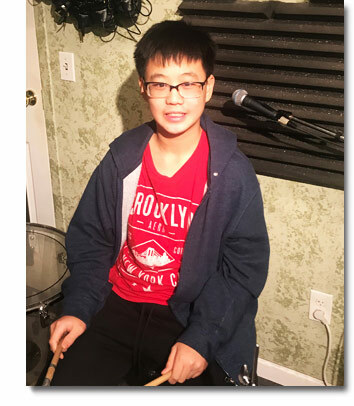 Brandon Chang, a 7th Grader At Woodrow Wilson Middle School placed 7th overall and was placed 1st Chair Percussion Ensemble. Liam Maurillo is an 8th Grader at Roosevelt Intermediate School. 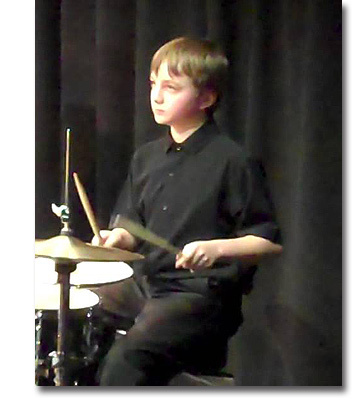 Liam has been playing drums 2 years and his first Audition placed Number 1 overall, and was 1st Chair Wind Ensemble. What an accomplishment. 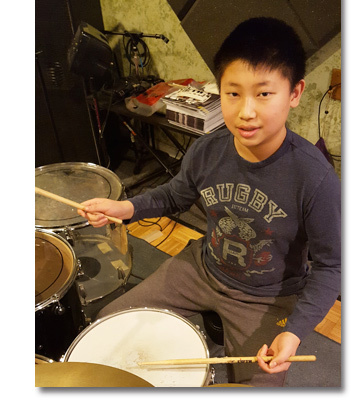 Andy Xu is a 7th Grader At Woodrow Wilson Middle School. 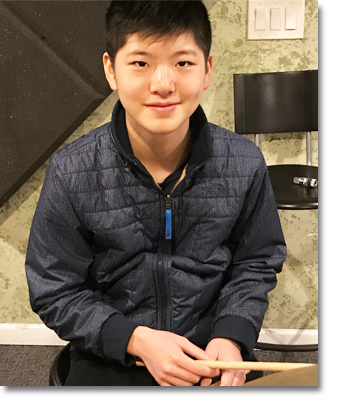 Andy took 6th overall in the 2019 Regions Band Audition, and was placed 5th chair Wind Ensemble. School in Edison. Ethan placed 4th overall in the Percussion Ensemble. placed 7th chair in the Wind Ensemble. Shreyes is a Freshman at JP Stevens High School placed 9th overall in the Region Auditions, and to 5th in the Symphonic Band. 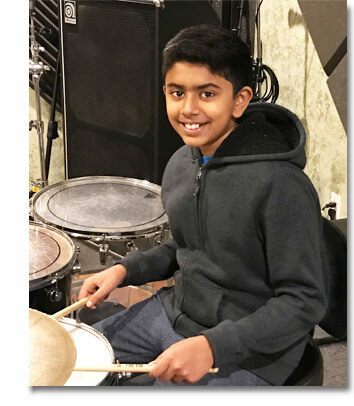 Shravan Venkat is a 7th Grader At Woodrow Wilson Middle School. 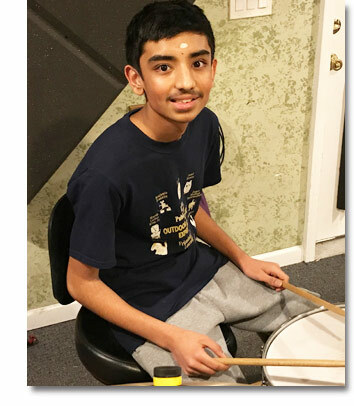 Shravan placed 9th overall and placed 2nd Chair Percussion Ensemble. Rishi is a Sophomore at JP Stevens High School. Rishi placed 8th overall. 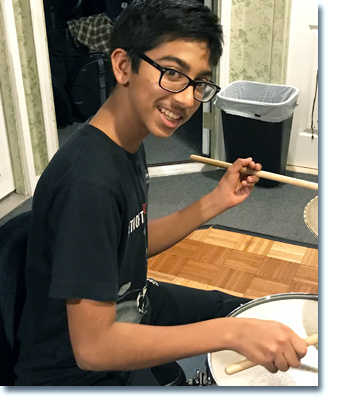 Rishi also played 6th chair Symphonic Band and 5th chair Percussion Ensemble. Michael Carlton, is a junior at Westfield High School. Michael made the Region Symphonic Band playing Timpani. David is in the 8th grade at Woodrow Wilson Middle school in Edison. He placed 5th overall in the Percussion Ensemble. Johnny is in the 8th grade in Woodrow Wilson Middle school in Edison. He placed 6th overall and 4th chair in The Wind Ensemble. Brendan is a Senior at David Brearley High School in Kenilworth NJ. He made 3rd Chair Orchestra. Brendan was invited to Audition for the All States Band. On December 12th for 2015 - 2016. He made David Bradley High School Drums — Captain. Mayank is a freshman at JP Stevens High School. Mayank placed 9th overall. He also made 4th Chair in All State Symphonic Band. Darin is 12 years old and is in the 7th grade at Woodrow Wilson Middle school in Edison. Darin is in Region Windows Ensemble in the 9th Chair. 8th grader at Woodrow Wilson Middle School in Edison. Placed number 2 overall in Middle School Region Band Auditions. Shruti also placed 2nd Chair in The Wind Ensemble. 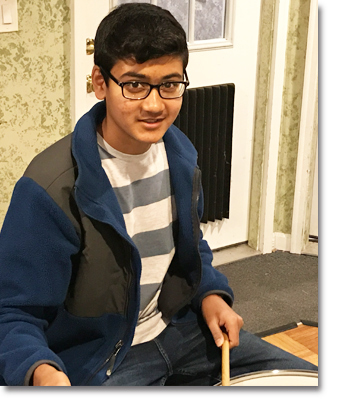 Varun made the 2017 All Eastern band this year. 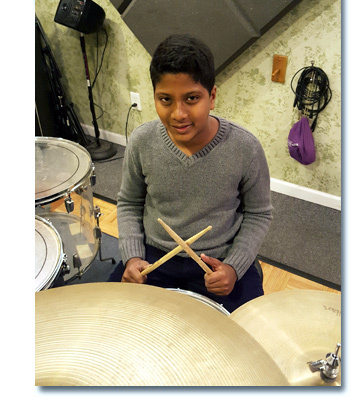 Varun currently studies jazz at the Manhattan School of Music. 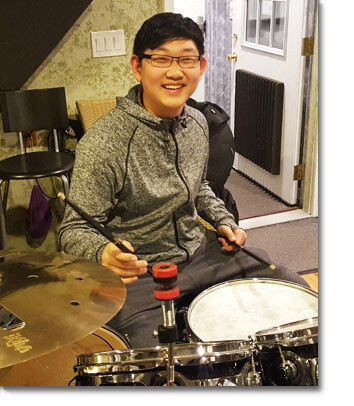 He was accepted to the Lincoln Center Youth Jazz program in New York City. He also placed number 1 overall in the NJ Divison 2 region auditions. Varum will be 1st chair in The Wind Emsemble for 2014. Varun is in the 11th grade at JP Stevens High School. 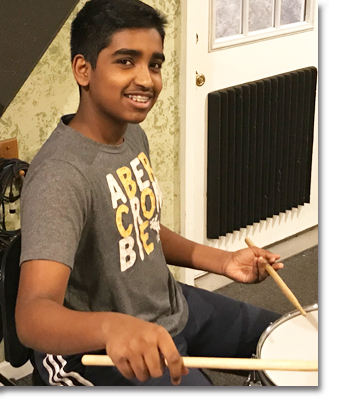 Although he plays multiple instruments like Guitar, Bass, Piano, Drums and Violin, he is the most passionate about playing drums. 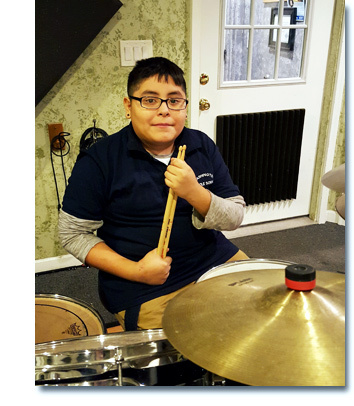 He has been learning music since he was 3 years old and wants to be a musician. 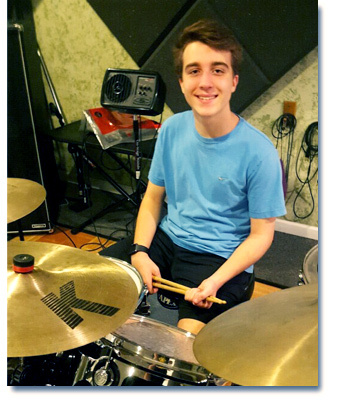 He has been selected for the Region Band - 2013 and is also a member of his school orchestra and jazz band. 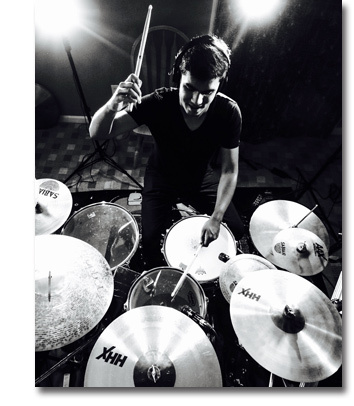 He is also enrolled in a Master's certificate program in Berklee College of Music, Boston. Jackie placed 13th overall in the NJ Division 2 region auditions putting Jackie in the 4th chair Symphonic Band for 2014. Jackie is 14 years old and is 5th overall in Percussion. He plays in the Percussion Ensemble. 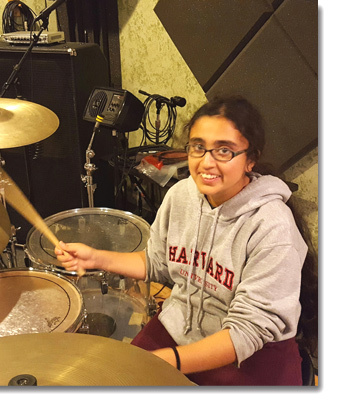 Jackie is in the 8th grade and goes to Rooselvelt Middle school in Westfield New Jersey. Alex made the region band last year made the audition for The Jazz for Teens Program at NJPAC in Newark NJ. My only other students to make that Program were John and Robbie McNamara. It is a honor to play with the best kids in the tristate area. 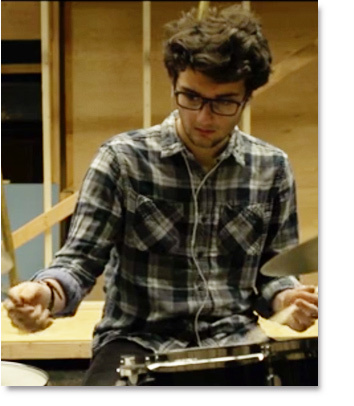 Rob McNamara attended Montclair State University and studied Music Education with a concentration in Jazz Studies. 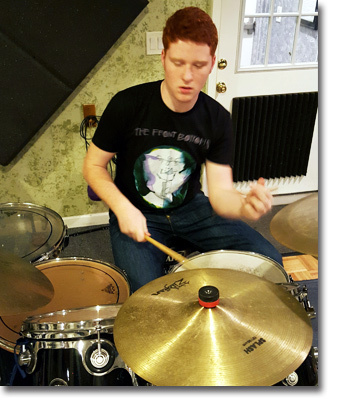 Throughout his five years in college, Rob has played drums for the Montclair State Jazz Ensemble, West Side Story, the West African Drumming and Dance Ensemble, jazz combos and off Broadway shows in New York City. 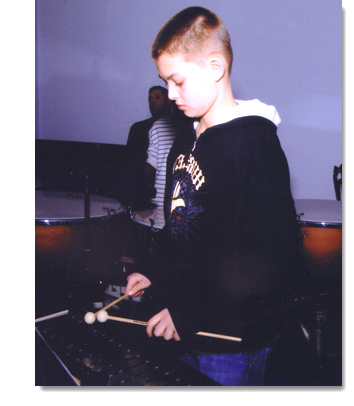 At the age of 16, Rob taught percussion privately with his father. This is where Rob developed his love and passion for music education. During his time as a student teacher, Rob was able to receive hands on experience on education working at Arts High School and Abington Avenue School in Newark, NJ. 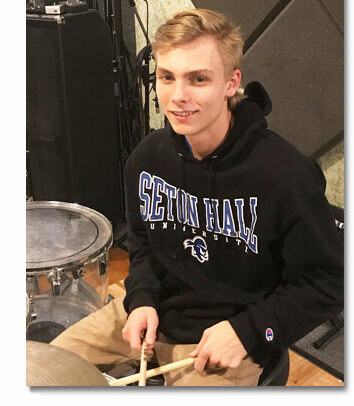 Upon receiving his Bachelor's in Music Education from Montclair State University in May of 2018, he also received the Award for Outstanding Student Teacher and Music Performer. 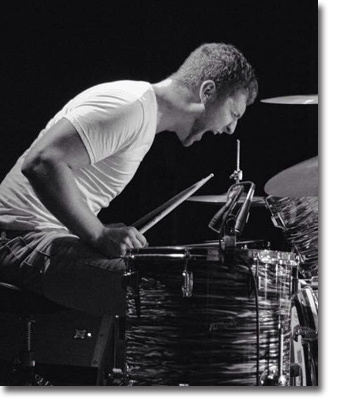 Shortly after graduation, Rob was hired as the new Instrumental Band Teacher at Abington Avenue School in Newark, NJ. There he teaches PreK-8th grade students musical instruments and holds concerts throughout the academic year conducting the band and orchestra. 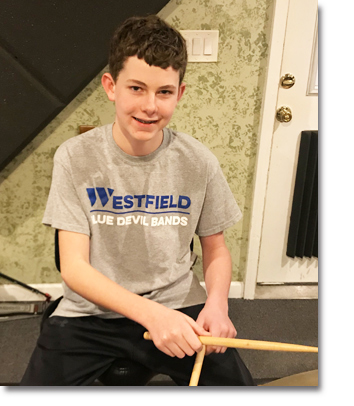 In The U.S. Pacifis Fleet Band would like to welcome abord our newest percussionist, Musician 3rd class John McNamara, from Kenilworth NJ. Prior the enlisting in the United States Navy, he tought at J.P. Stevens High School in Edison, NJ. Ridge High School in Baskingridge, NJ., and was a freelance musician in New York and New Jersey. He enlisted in the Navy as a Culinaty Specialist and served five years abord USS Pickney. 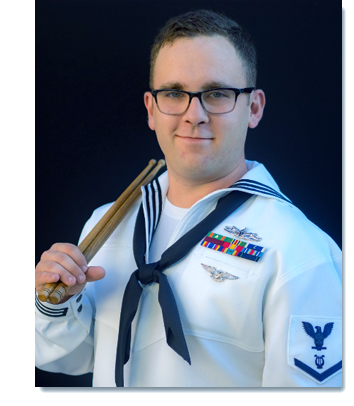 He then cross-rated and attended the Naval School of Music, Virginia Beach, VA.
My Former student Harry Smith appears in a short film called Passions where he talks about his passion of Jazz drumming. I am so Proud to see that Harry has grown as a musician from when he first started with me. His Father Dave Smith has said that I have been a big influence in how he turned out music wise. When Harry was in the 7th Grade at Terrel Middle school in Scotch Plains, NJ. he placed 4th and was in the Region Band. Passions. from Isaiah Mackson on Vimeo. Patrick attends William Annin Middle school in Basking Ridge NJ. 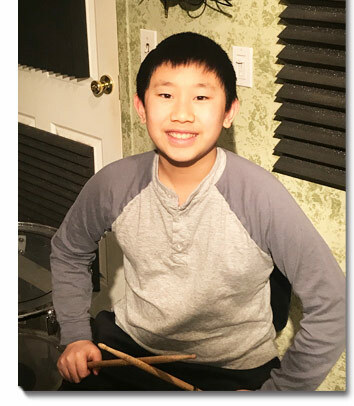 In the 7th grade Patrick scored #5 overall in Mallets and was placed in the Region Percussion Ensemble. In 8th Grade Patrick scored #2 Overall, again placed in The Region Percussion Ensemble.